You can’t beat the market. And to retire, you shouldn’t have to. The notion that if you’re smart and work hard, you can outperform average returns is so taken for granted that it’s part of our conventional wisdom. But this notion is, simply, a myth. This is the conclusion of a recent book by Dan Goldie and Gordon Murray, respectively a financial adviser and a former Wall Street managing editor profiled in the New York Times at the end of last month. Mr. Murray’s book echoes what many others in the investment community have always known: that a more passive investment strategy, balancing between stocks and bonds, domestic and international investments, is far safer. 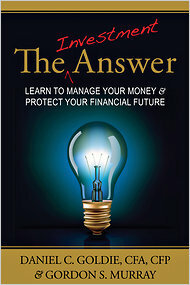 Though the conclusion runs counter to both conventional wisdom and the actual behavior of many investors, Murray and other financial experts make a persuasive argument for the futility of active investing: in the long run, no one can predict the future; thus, always picking the right investments at the right times is, frankly, impossible. Active investment management can actually hurt performance by causing investment volatility, which can significantly reduce long-term returns. What does this have to do with retirement? Many Americans are expecting their 401(k)s to do exactly what many market experts agree is impossible: beat the market. People often assume that they will earn above-average returns of 7 or 8% when deciding how much money to save for retirement. But the reality is that many people with 401(k)s aren’t even aware of what their retirement savings are invested in, and those that do actively manage their accounts may be, as Murray claims, hurting themselves. After all, why should amateur investors be expected to do better than financial experts with decades of experience? On top of this, many of the mutual funds that are available to 401(k) participants are actively managed themselves, compounding the chances of lower returns. These mutual funds rarely beat market averages, but their active investment management can cost participants a bundle—their fees can consume over one-fifth of 401(k)-holders’ earnings. The solution may appear to be just following the passive investment strategy that Murray and his co-author advocate, but given that this strategy has been advocated frequently in the past and few investors have followed it, it may be more difficult than most people imagine. The truth is that we need a new retirement system in this country that is not a gamble; ordinary people shouldn’t have to do what even most experts fail at to retire. Retirement security has been long dealt with as several separate, unrelated parts—Social Security; public and private pensions; and private retirement savings accounts, primarily 401(k)s.
Policy makers, however, need to start thinking of retirement security as one issue, with one goal: to ensure a dignified retirement for all Americans. The President’s National Commission on Financial Responsibility and Reform still sees the problem myopically, however, proposing Social Security cuts seemingly oblivious of the weakness of the private retirement system. If we don’t want to have to work until we’re 100, we will need comprehensive retirement reform. There are multiple reasons why a policy holder would want to hire a broker’s services in handling life insurance settlements. These may be anything from creating funds for future purchase of a more cost-effective life insurance policy, to give cash gifts to his or her surviving family members, to likewise create funds for charity or when starting a charitable foundation, to take away coverage of a policy over a real estate asset due to concerns regarding tax liabilities or reduction in property size, and to get higher cash value as compared to merely surrendering the insurance policy. For those who are unaware of what life settlements are, it’s basically a financial transaction whereby a senior life insurance policy holder would like to sell the policy for amounts higher than its real value in cash. Thus, it can be considered part of larger financial strategy on the part of the policy holder who has personal reasons for selling. It is the policy holder’s right to engage in life settlement as is forced by financial obligations. 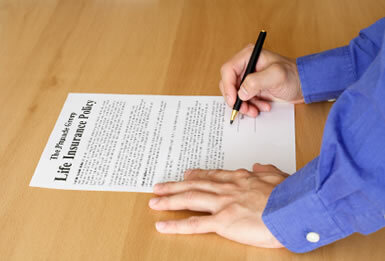 Be aware that senior life settlements aren’t exclusive to individual policy holders. It’s also possible for corporate companies that hold insurance policy to engage in life settlement to create a strategic asset during merger and acquisition negotiations. Other reasons of the company may include creating funds to pay for their debts, as a requirement for filing bankruptcy under Chapter 7, or when the company is sold thereby relinquishing all requirements for agreements governing buy and sell of insurance policies. If you want to learn forex trading, you’ll have to devote a lot of your time and attention to gaining as much knowledge about it as possible. But more importantly, you’ll have to start with the right reasons or risk ending up on the wrong side of transactions. You have to be able to read and understand forex charts and signals, to be able to prepare and make the proper decisions when the right time comes. Be willing enough and you’ll go far in forex trading. Whoever says that all you need in forex trading is a firm grasp on the basic underlying principles is making quite a huge mistake. You have to be updated with ongoing forex news in order to paint a bigger picture of the whole currency exchange situation. Only then will you be able to apply everything you’ve learned that is theoretical to the current financial, economic and political situations. So don’t get too absorbed by the ‘all-or-nothing’ crowd and instead focus on practicing all the principles and theories on the current forex situations. For those of you who have already began forex trading, keeping an eye on forex exchange rates should be your daily habit. Throughout the course of forex trading, a trader shall realize the part currency exchange rates play for traders and financial institutions alike. In fact, it’s the most important piece of economic data that has the most effect on a nation and its economy. Thus, forex trading is all about placing your bets on the relationship between a pair of currencies, rather than on which of two currencies you’re more confident in. Always take note that for your forex trading career to go round the tightest bends with high return-on-investment, you’ll have to invest quite heavily on a reliable forex broker. 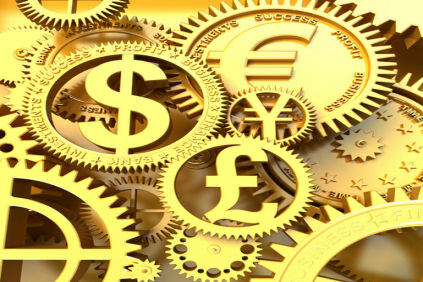 One online forex broker that is highly regarded in the online industry is forex web trader. This particular forex brokering company makes itself felt by being a network ally of Saxo Bank, one of the biggest forex trading companies in the world. This company also has some of the most experienced IT staff working behind their unique trading platform. The site offers one-click orders plus mobile trading opportunities. 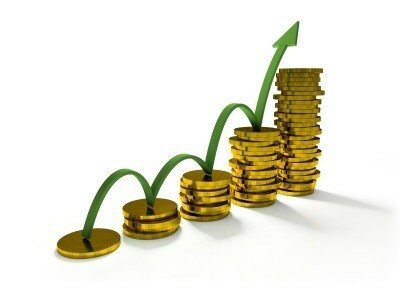 Professional traders of forex invest a lot of time and energy on their chosen career. It is no easy task, but it can be learned with access to the right information and guidance. It involves a lot of risks, and thus entails a lot of preparation especially for beginners. Before trading, you’ll want to have all the information that’s necessary to make the right decisions, and the only way you’re going to do that is by taking a pragmatic method-seek expert advice and heed it consciously throughout the entire forex trading process. To achieve your goals of success in foreign exchange trading, you’ve got to be in connection with a credible and dedicated currency trading broker. There are a number of forex broker types that you’ll eventually meet, one of which is the dealing desk broker. This type of forex broker is considered in the industry as market makers. Simply put, market makers buy when you’re selling, and they sell when you’re buying, so don’t be surprised to find that their interest run counter to yours. Still, it doesn’t necessarily mean that they’re the worst type. There are a lot of currency trading strategies that you can employ to ensure your success in the field. Beginners have to understand that the true nature of forex trading is taking risks. One of the earliest lessons to be learned the hard way is how to bet against foreign currency values. The earlier a budding forex trader learns this, the greater the learning curve and the earlier success will come to those who open up their minds to new ideas and possibilities. Looking to engage in forex trading? Forex trade is no easy task, but it can be learned with access to the right information and guidance. It involves a lot of risks, and thus entails a lot of preparation especially for beginners. Before trading, you’ll want to have all the information that’s necessary to make the right decisions, and the only way you’re going to do that is by taking a pragmatic method-seek expert advice and heed it consciously throughout the entire forex trading process. Keep in mind that for your forex trading career to go 360 with high return-on-investment, you’ll have to heavily invest on a dependable forex broker. One online forex broker that is highly recommended is finexo forex. The company sets itself apart by offering a platform that primarily uses one-click trades to facilitate actual forex trading, as well as an extremely user-friendly and visually understandable interface design. The website also has tons of information which include daily analysis reports from professional forex brokers. Before going on an outright fx360 cycle using forex robots, you have to look closely at their reviews. Nothing can be farther from the truth, especially what you see in television commercials and films where forex traders and brokers lounge in a vacation spot while robots do the trading for them. The truth is, a lot of forex robots out there are actually mediocre, meaning they’re not entirely capable of running your trading business throughout the whole year without resulting in grave losses. Meanwhile, you also have to keep in mind that your forex trading career will not go full circle without a dependable forex broker. One online forex broker that is highly recommended is etoro forex. The company sets itself apart by making use of a platform that is dependent on downloads, meaning that instead of offering a platform that’s entirely based on the web, their interface takes the benefit of being downloadable, and thus easier to manage right from your own workstation rather than having to broker online. Remember that if you’re looking to engage in forex trading that 4x trade is no easy task. Although it can be learned with access to the right information and guidance, still it involves a lot of risks, and thus entails a lot of preparation especially for beginners. Before trading, you’ll want to have all the information that’s necessary to make the right decisions, and the only way you’re going to do that is by taking a pragmatic method. And that is by seeking expert advice and heeding it consciously. To achieve your goals of success in foreign exchange trading, you’ve got to be in connection with a respectable and honest forex broker. There are a number of forex broker types that you’ll eventually meet, one of which is the dealing desk broker. This type of forex broker is considered in the industry as market makers. Simply put, market makers buy when you’re selling, and they sell when you’re buying, so don’t be surprised to find that their interest run counter to yours. Still, it doesn’t necessarily mean that they’re the worst type. Meanwhile, you also have to keep in mind that your forex trading career will not go 360 without a dependable forex broker. One online forex broker that is highly recommended is etoro usa. The company sets itself apart by making use of a platform that is dependent on downloads, meaning that instead of offering a platform that’s entirely based on the web, their interface takes the benefit of being downloadable, and thus easier to manage right from your own workstation rather than having to broker online. Remember that for your forex trading career to go full circle with high investment returns, you’ll have to heavily invest on a dependable forex broker. One online forex broker that is highly recommended is forex web trader. This particular forex brokering company sets itself unique by being a network ally of Saxo Bank, one of the largest forex trading companies globally. The company also has some of the most expert IT staff working on their exceptional trading platform. Their site offers one-click ordering features and mobile trading potential.